Using sugar for food is a given for most of us. But body sugaring hair removal isn't something that most people are aware ofm, even though the technique goes back a long way in history. Sugar hair removal, like waxing, is a method that allow for many hairs to be plucked at once, using a sugaring paste in place of hot wax. The technique is fairly simple. A body sugaring recipe is used to prepare a sugaring paste. Then the paste is applied on small sections of unwanted hair, and is sometimes covered by strips of cloth. Once the sugaring paste dries to the right consistency, the strip is quickly pulled off, in the same direction as hair growth. And, if all goes well, unwanted hair will be plucked away and remain in the paste. It's easy to see why the process is sometimes called sugar waxing. Unlike regular waxing however, the direction of hair removal is opposite to regular hot waxing, with the idea that this will cause less pain and irritation. Just like hot waxing, sugar hair removal can be painful, and in the short term will leave the skin feeling quite tender and sore. On the other hand, advocates of sugaring waxing methods say that the right body sugaring recipe will result in softer skin and less pain when compared to regular body waxing. 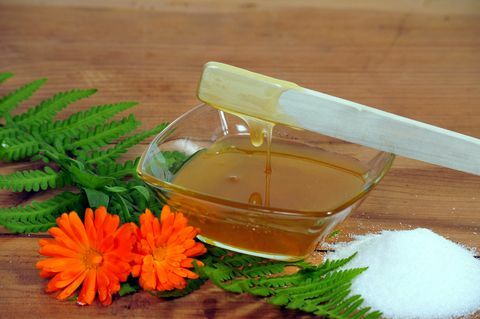 While sugaring is often done at home, you can often find sugar waxing treatment in a number of beauty spas. Be prepared though that the method may differ somewhat from the traditional process. 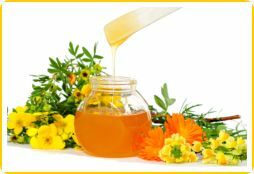 In many cases, you'll find that it is more of a sugaring waxing than a traditional use of sugar hair removal. Rather than creating a sugaring paste, many spas simply add sugar to the wax. This isn't all bad, since you will get some of the benefit of the mixture sticking more to the hair and less to your skin. For the full effect however of a sugar hair removal treatment, be sure to ask about the sugaring paste used.